You are new to our Guild and Spanky Website? Welcome to S2 Book World, the home of Book Lovers, Collectors and Muppets! We are glad you found your way to our site. 1. What is a Neopets Guild anyway? 2. So your main focus is on Books? 3. What is this S2 the Guild was named after and Why is it so special? 4. Other than Books, what else are Guild Members interested in? 5. Why should I join this guild? What sets you apart from everybody else? 6. Ok, I joined… Now what? 7. I know you must have rules for this guild? 8. So you think you can handle us? 9. Don’t forget to post your Birthday on the Guild Calendar. What is a Guild anyway? A Guild is special interest Club that you can Join or Create to meet other players with similar interests on Neopets. This means that Guilds are great places to get into contact with New People, and meet New Friends who share the same interests and goals as you do. So your main focus is on Books? Well, the main interest most people in this Guild share is reading Books, or rather having our pets read them. Books was the initial reason this Guild was started. This is also the reason why our Guild is situated in the Lenny Library neighborhood on Neopets Guilds. What is this S2 the Guild was named after and Why is it so special? 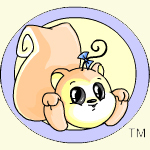 Originally the Guild was named after SpankaroonieTwo the Baby Meerca. She has been for the longest time the Top Reader on the Neopian Book Award list. Goofyspouse used to be her daddy and has also been the original creator of this Guild, founded on February 25, 2002. Back in April, 2003, the original Guild was deleted (to date we still do not know why) and it was reopened by jenniferledbetter and later transferred to mama_maia mid 2005. In 2009 the Guild switched over to it’s new and current owner Andulien. The Guild was renamed S2 with the New Website that opened after the last change of ownership and after the SpankaroonieTwo account was frozen. Other than Books what else are Guild Members interested in? We have a lot of Collectors in Our Guild. From Gourmet to Avatars to people having their own Galleries and Item collections – you can find them all here. We also support each others in their endeavors (which is another way of saying that chances are really high that you will find someone who is crazy enough to help you set your wildest Ideas into motion). Why should I join this guild? What sets you apart from everybody else? I’m blinded by all that GOLD!!! Ok, I joined… Now what? First, introduce yourself on the Guild Board and familiarize yourself with our Rules. Read everything on our website – it is here for a reason and free. Share your thoughts and goals on the Guild Board. The more people you know in the Guild, the more fun it will be. Next, start working towards a Guild Rank Upgrade. Once you are upgraded, you will receive a shiny new trophy and are bit by bit closer to your Neopets Trophy Goals. You will find that our Guild Members usually give discounts on their Collector Fellow Members. I know you must have rules for this guild? We sure do. We try not to run the guild like an Army Base, but at the same time, there are boundaries. Our three main rules are: Tolerate one another, Use your common sense and Compromise. Treat others how you want to be treated. Don’t lie, cheat, scam, spam, or make the job of our staff difficult. So you think you can handle us? We offer a Chat located on the website. Or you can connect via mIRC. Please read the Chat Rules before entering the room. When you first enter, please tell us your Neopet name. Don’t forget to post your birthday on the Guild calendar. You will get a Public Birthday announcement on your special day. Please DO NOT post silly dates on the Guild Board such as your dog’s birthday or when you have a test. Our council deletes everything except member birthdays; please do not make more work for them. You have a Neopets diary you can use for your personal information. Questions / Comments / Suggestions / Complaints? Please contact a Member of our Guild Council. We ask that you don’t publicly complain. This is rude and from past experience, stirs up more trouble than you could ever imagine. All Contact Information is listed on our About Us Page. Please try and find the Council Member that can best address your question or use our Contact Us form. Now come in, relax, and get ready to make some wonderful Friends here… see you around!